The Daily Express two-page feature on my book can be found at the link below. 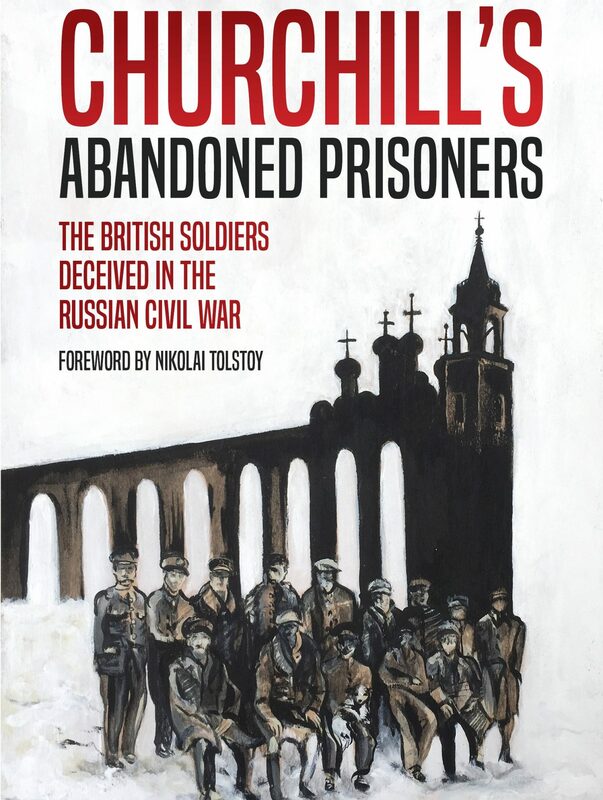 Although the title of the article is Winston Churchill: Secret Shame in the Russian Revolution, there is clear evidence in the book that Churchill worked harder than anyone to secure the release of Captain Horrocks and the last prisoners of war in World War One. When the Prime Minister, David Lloyd George, planned to meet Lenin’s envoys in May 1920 and reopen trade with Russia, the Secretary for War declared in a secret Cabinet Office memorandum that the return of “all British prisoners of war captured in Siberia…should be the sine qua non of further negotiations.” See Chapter 14 and Appendix 4 for the details. In discussion with Kimberley Leonard on Sky News this morning about the latest developments in Libya. After the launch of Churchill’s Abandoned Prisoners, Resident Magazine published an article which you can read below. I was invited to discuss the situation in Libya with Samantha Washington on the afternoon news programme, but we were diverted by the breaking story about Army Culture. There appears to be huge political pressure on the Chief of the General Staff to sort out the discipline problem in the Field Army, which is the biggest reputational threat since the Iraq War abuse. As he is relatively new in the job and his background is Special Forces and the Household Division, this will be challenging for him as you can see from the hasty Army posting on Youtube. The art of a great interviewer is to ask questions which the interviewee would like to talk about and extract information the listeners would like to hear. It was a pleasure to be interviewed by the skillful Julian Clegg, who covered so many bases in our seven minute discussion before the launch at Waterstones on Feel Good Friday. On Friday morning, 5th April, I will be joining Julian Clegg on his BBC Radio Solent Breakfast Show from 9 a.m. available on 96.1FM & 103.8FM, DAB in Hampshire and Dorset. Later that day, Waterstones is giving the book its official launch in their Winchester High Street shop, beginning at 6 p.m.
With a month to go before the Waterstones’ launch of Churchill’s Abandoned Prisoners, I was delighted to be interviewed by Faisal Islam on Sky News morning programme, All Out Politics. We discussed Winston Churchill’s role in the story on the anniversary of his “Sinews of Peace” speech in Missouri, which for many people marked the beginning of the Cold War.